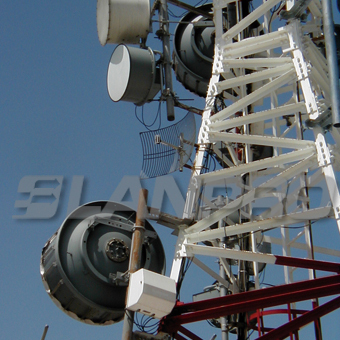 The antenna systems for the 460 to 500 MHz UHF Band supplied by LanPro are built with anodized aluminum with the goal of delivering a superb service in extreme environmental conditions. 5.1 to 6 GHz band Series are produced in several morphologies, efficiently adapted to the kind of service they are designed to deliver. 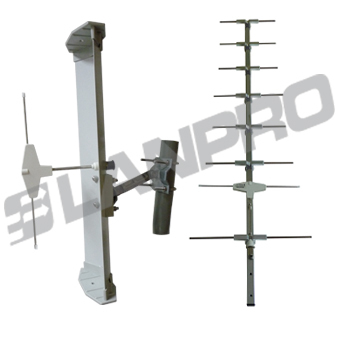 Most of the Professional antenna systems offered by LanPro are constructed of UV-stable fiberglass and aluminum. They feature 50 Ohm passive feeds that come standard with N-female connectors. 5 to 7 GHz MIMO Antennas. 5 to 7 GHz band Series are produced in several morphologies, efficiently adapted to the kind of service they are designed to deliver. 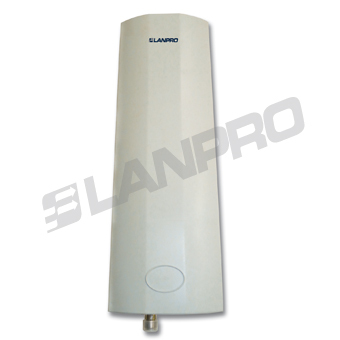 Most of the professional antenna systems offered by LanPro are constructed of UV-stable fiberglass and aluminum. They feature dual Polarized Orthogonal antennas with dual 50 Ohm passive feeds that come standard with N-female connectors. 2.4 GHz band Series are produced in several morphologies, efficiently adapted to the kind of service they are designed to deliver. 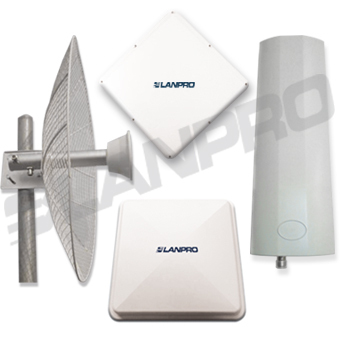 Most of the professional antenna systems offered by LanPro are constructed of UV-stable fiberglass and aluminum. They feature 50 Ohm passive feeds that come standard with N- female connectors.